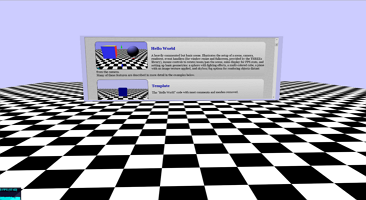 The goal of this collection is to provide a set of basic and instructive examples that introduce the various features in Three.js. 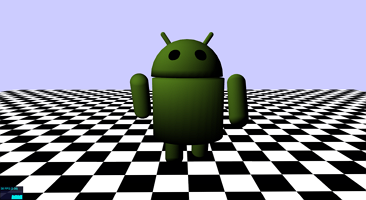 The source code for each page contains detailed comments. Hosted at GitHub. Total examples: 83. Last updated: 23 August 2013. 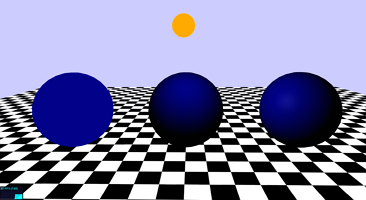 Compatible with Three.js version 60. 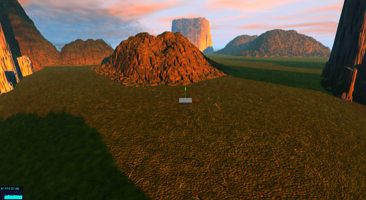 A heavily commented but basic scene. 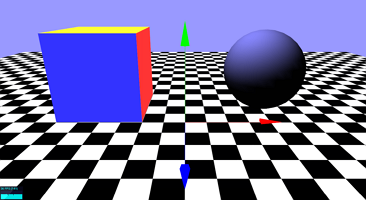 Illustrates the setup of a scene, camera, renderer, event handlers (for window resize and fullscreen, provided by the THREEx library), mouse controls to rotate/zoom/pan the scene, mini-display for FPS stats, and setting up basic geometries: a sphere with lighting effects, a multi-colored cube, a plane with an image texture applied, and skybox/fog options for rendering objects distant from the camera. 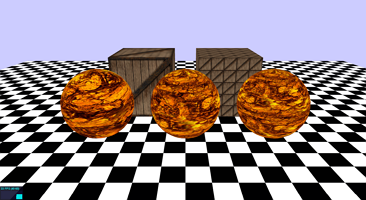 Many of these features are described in more detail in the examples below. 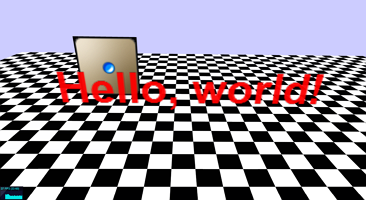 The "Hello World" code with most comments and meshes removed. The template code with minimal jQuery added to create a button that displays an information dialog box. 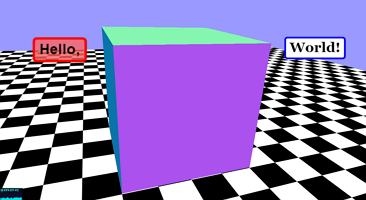 Illustrates the difference between the Basic, Lambert, and Phong materials. 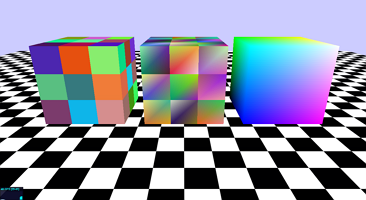 Illustrates the effects of changing the Color (Diffuse Color), Ambient Color, Emissive Color, Specular Color, Shininess amount, and Opacity amount. 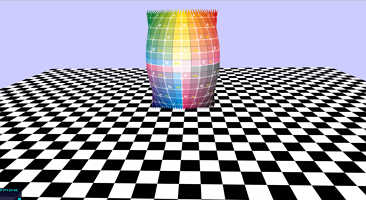 Demonstrates how to create and apply wireframe materials. 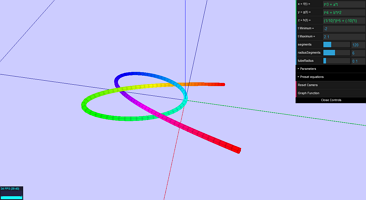 Demonstrates how to create solid lines, dashed lines, and contains a function to convert geometries into line-style objects. 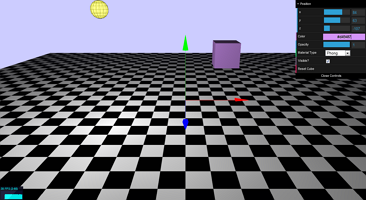 Demonstrates the use of AxisHelper, GridHelper, and ArrowHelper to easily create line-based objects. 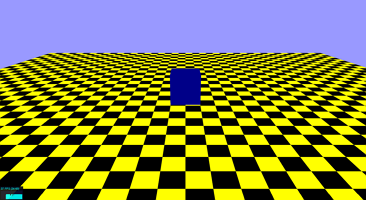 Demonstrates an effect to display a solid outline around a mesh. 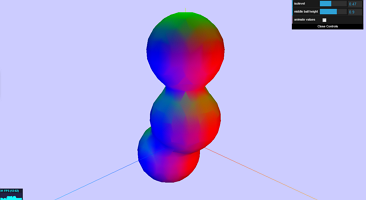 Assigning colors to faces and vertices for gradient effects. 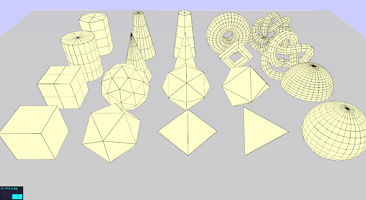 Uses some of the built-in geometry constructors to create the following three dimensional shapes (and variations): cube, icosahedron, octahedron, tetrahedron, sphere, dome, cylinder, prism, cone, pyramid, frustum (truncated cone and truncated pyramid), torus, torus knots. 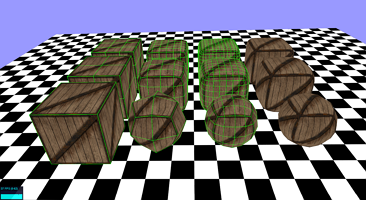 Create an array of 2D points, make a 2D shape, and create an extrusion (a 3D shape whose cross-sections are the given 2D shape). 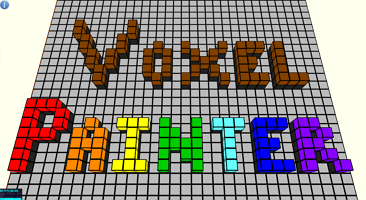 Create a 3D text object (an extruded version of text rendered as a 2D image). 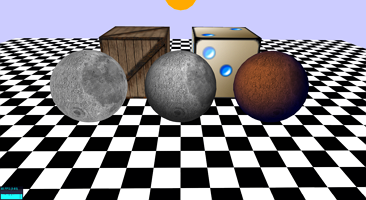 Demonstrates surfaces with textures (image-based materials), including shading and coloring effects. 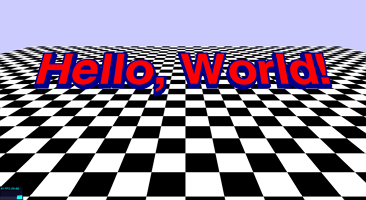 Repeating (tiling) a texture on a surface. 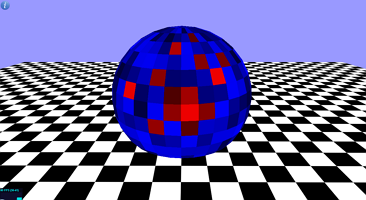 Illustrates using basic and phong-shaded translucent materials, making image textures translucent, using additive blending for a glow-like effect, and using image textures that already have alpha transparency. 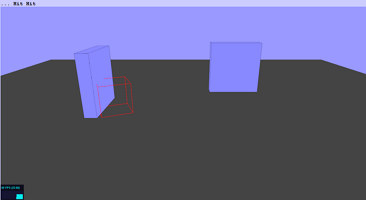 Using spotlights to create shadow effects in a scene. 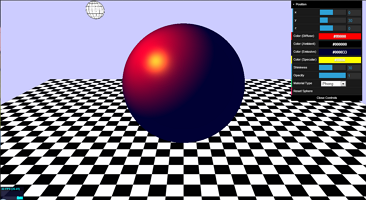 Demostrates a function that interpolates additional points to a geometry, creating a "smoothing" effect. 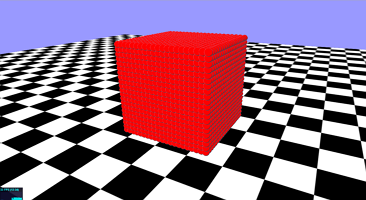 This example applies the modifier to a variety of cube geometries, resulting in spherical and beveled cubes. 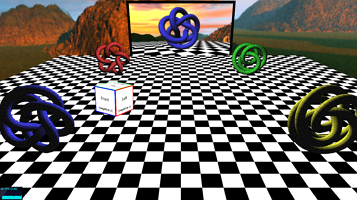 Using textures to create a "SkyBox": backgrounds images projected onto a cube surrounding the rendering region, which creates the illusion of distant 3D surroundings. 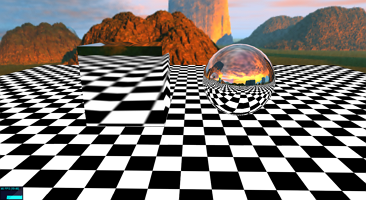 Creating a mirror-like material by projecting an image of the surroundings onto a object. 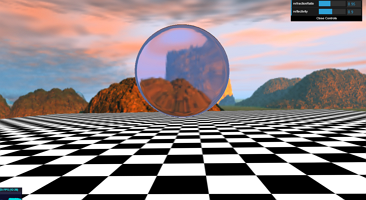 Creating a glass-like material by projecting a refracted image of the surroundings onto a object. 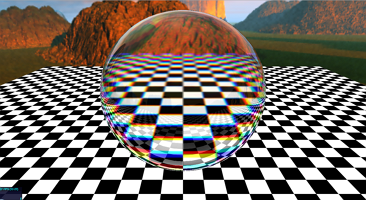 Creating a bubble-like material (incorporates reflection, refraction, and chromatic abberation) using a Fresnel shader. 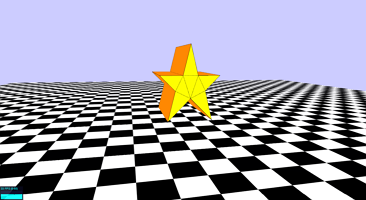 Animate a spritesheet image texture on a surface. 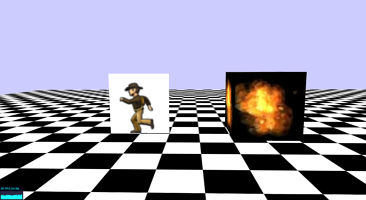 Sprites are images (not attached to geometries/surfaces) displayed in a scene, always orthogonal to the camera. 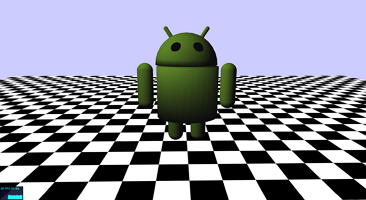 They can either appear in the 3D scene (useful as part of a particle effect) or rendered using screen coordinates (useful as part of a graphical user interface (GUI) or a heads-up display (HUD)). 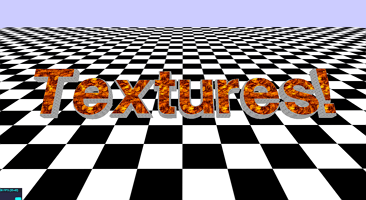 Combines techniques from Sprite demo and Texture from Canvas demo, introducing a function to easily make customizable text labels. 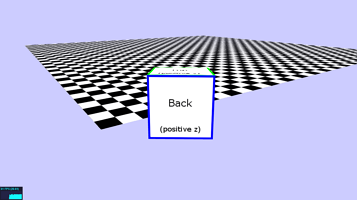 Application of the Sprite Text Labels demo to label all vertices and edges of a geometry with their index number. 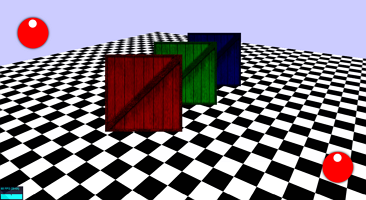 Change the color of a face on a mesh when clicked. 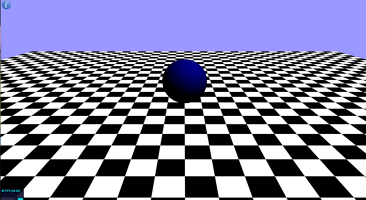 Change the color of an object in the scene when the mouse hovers over it. 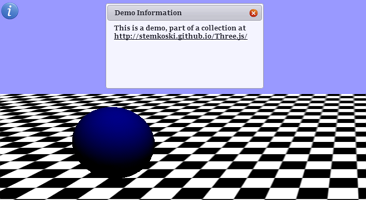 Demonstrates use of KeyboardState.js to respond to key down/pressed/up events. 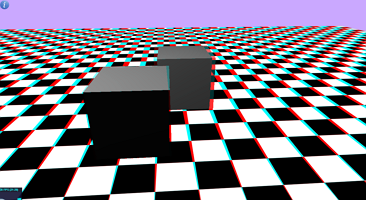 Displays a scene rendered using an Anaglyph effect; use red/blue 3D glasses to view. 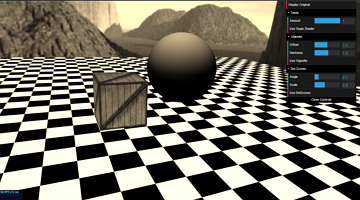 Demonstrates how to set up a simple pre-defined shader (sepia coloring). 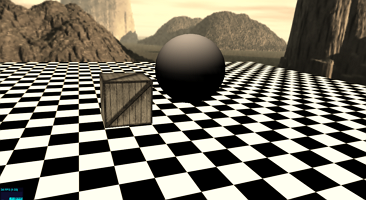 Illustrates the effects of changing the parameters in different shaders (sepia, vignette, dot screen). 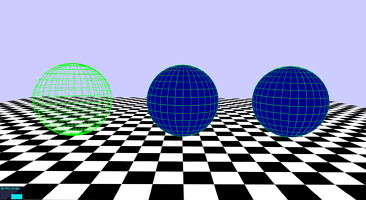 Demonstrates using a vertex shader to animate vertices, changing their positions according to their UV-coordinates; the result is a sphere that "flattens" into a plane. 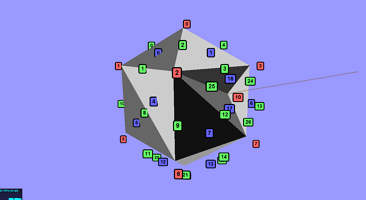 Demonstrates using a vertex shader to animate vertices, using "attributes": a set of values associated to each vertex. 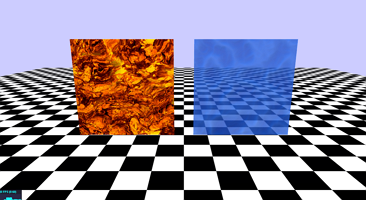 Demonstrates the animation of materials using shaders, featuring a lava effect and a water effect. 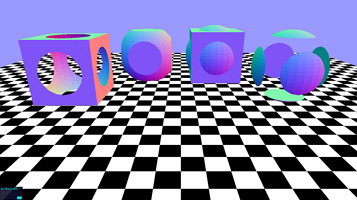 Builds upon the "Shader - Animated Materials" demo: a second image is randomly distorted and blended with the first, and the positions of the vertices are randomly distorted. 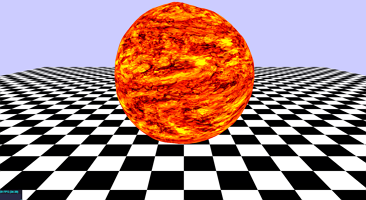 These effects are combined to create an animated fireball. 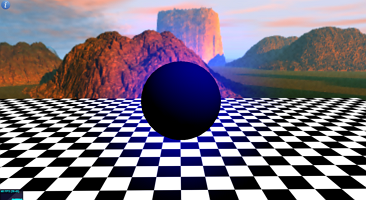 Create a glow effect using shaders. 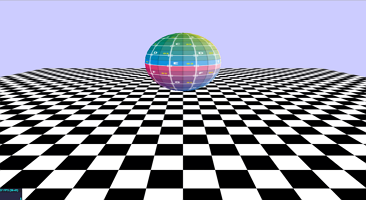 Includes GUI to adjust shader parameters. 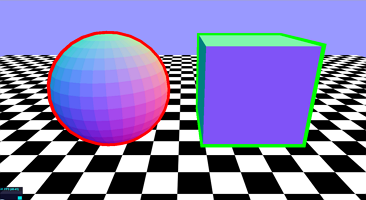 Using front-face rendering can create glow or shell style effects; using back-face rendering can create halo or atmosphere style effects (see information in-demo for corresponding parameter values). 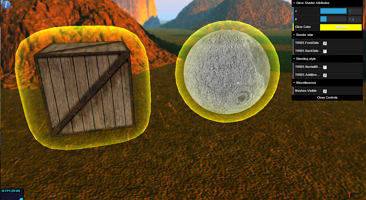 Create a particle effect using a group of sprites and alpha blending (or transparency). 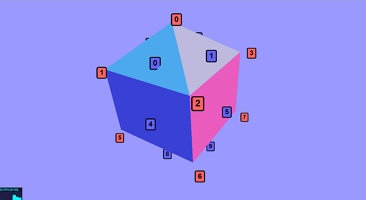 Create a group of particles using the ParticleSystem object (for faster rendering). 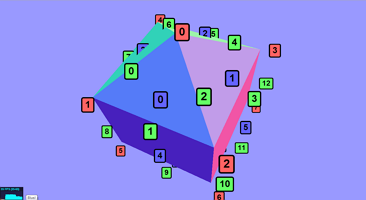 Each vertex in a given geometry corresponds to the position of a particle. 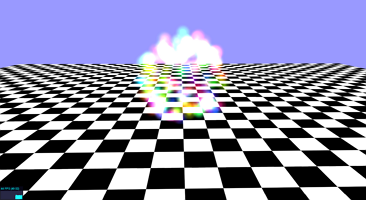 The "Particle System - Static" demo rewritten using a shader-based material; will be useful in subsequent demos. 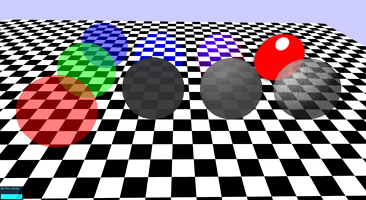 Builds upon "Particle System - Shader" demo, incorporating shader attributes, enabling each particle to have customized properties - in this case, each particle is assigned a different color. 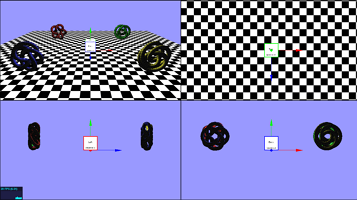 Builds upon "Particle System - Attributes" demo, incorporating animation: particle sizes oscillate at different frequencies over time. 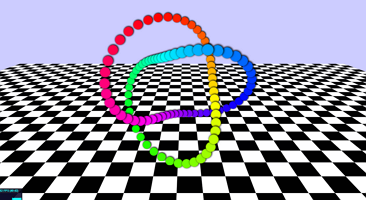 A particle system with particles moving along a path. 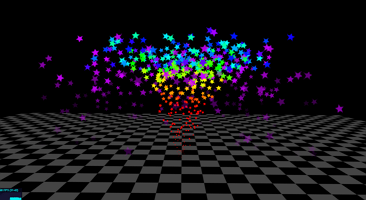 A complete particle engine for controlling a particle system to create special effects such as fire, smoke, stars, snow, and fireworks. 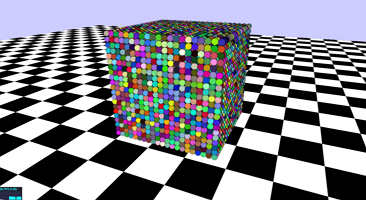 Includes 11 example effects. 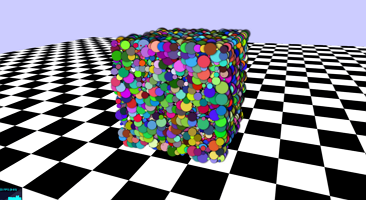 Customizable particle properties include particle image, rotation, size, color, and opacity. 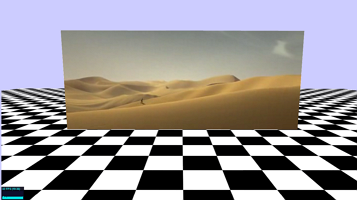 Display a video as a texture. Keyboard controls: "P" to play/resume, "SPACE" to pause, "R" to rewind, "S" to stop. 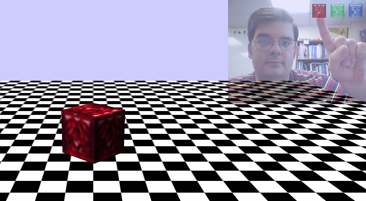 Displays user webcam image as a texture on a mesh. Requires Webcam, user needs to accept permissions to run, requires WebRTC compatible browser (see http://www.webrtc.org/). Press P to pause webcam (image freezes) and R to resume webcam. 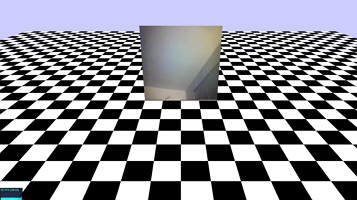 Displays user webcam image as a texture on a moveable mesh (W/A/S/D/Q/E). 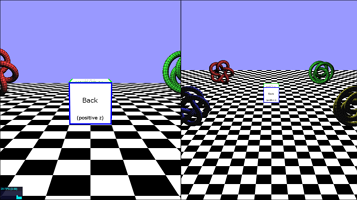 Incorporates code from examples: Webcam Texture, Mesh Movement, Reflection, Skybox, and Viewports - Dual. 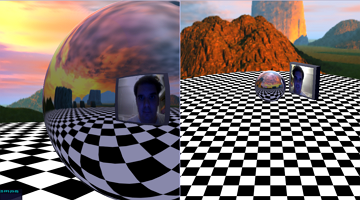 Requires Webcam, user needs to accept permissions to run, requires WebRTC compatible browser (see http://www.webrtc.org/). 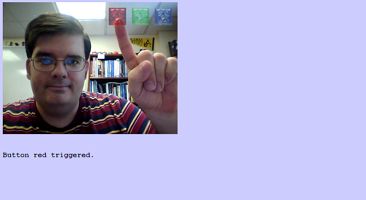 Displays user webcam image on webpage. 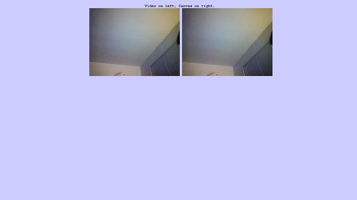 Requires Webcam, user needs to accept permissions to run, requires WebRTC compatible browser (see http://www.webrtc.org/). 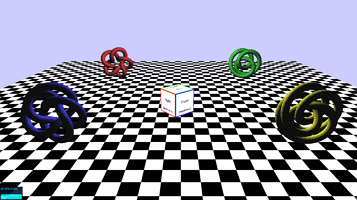 Detects motion occuring over graphics regions, and changes texture on spinning cube accordingly. 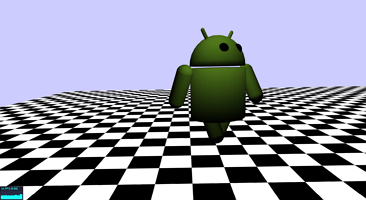 Create a graphical user interface (using the DAT.GUI library). 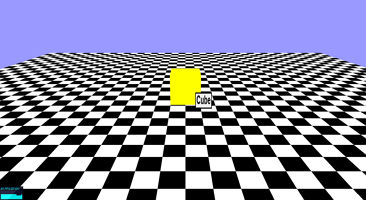 Create a graphical user interface (using the DAT.GUI library) that controls the appearance of a cube mesh. Uses a Gamepad (e.g. 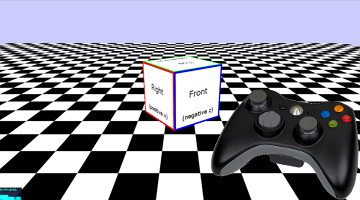 XBox controller) to move a cube around a Three.js scene, similar to Mesh-Movement example above. Requires Chrome browser and connected gamepad to run. Left analog stick moves cube forward/backward and turns left/right. 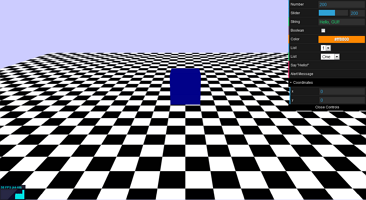 Directional pad moves cube forward/backward/left/right. 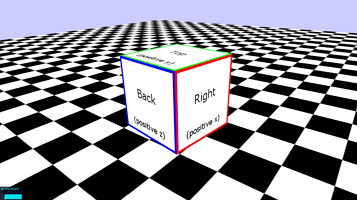 Right analog stick only turns cube left/right. Right shoulder buttons double speed of movement/turns. 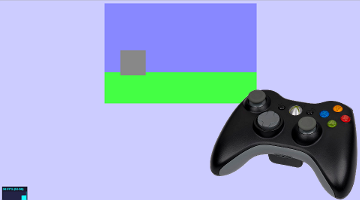 Start/select buttons reset cube to original position and rotation. 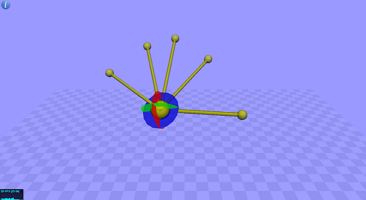 Visualize hand/finger position data from LeapMotion device. 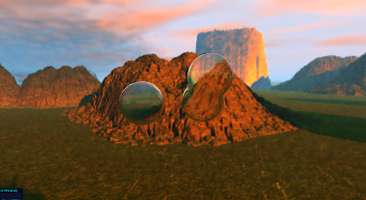 Metaballs demo + Bubble demo = Metabubbles demo! 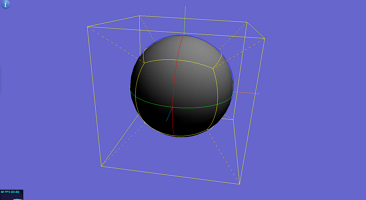 Projects a wireframe cube onto a sphere. 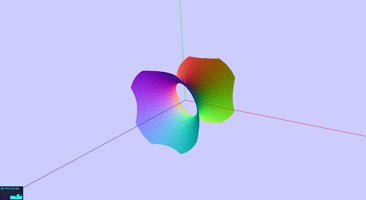 Includes a method for drawing the arc between two points on a sphere. 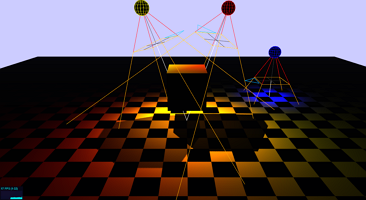 Builds upon Topology Data demo; illustrates edge and face subdivision and retriangulation functions and proper face coloring function. 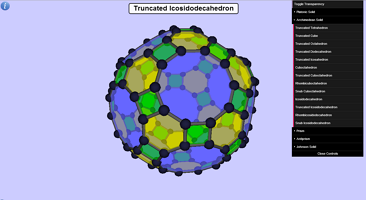 Interactive viewer of polyhedra (Platonic, Archimedean, Prisms, Antiprisms, Johnson Solids). 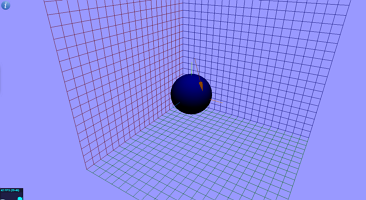 Graph a function of the form z = f( x, y ). 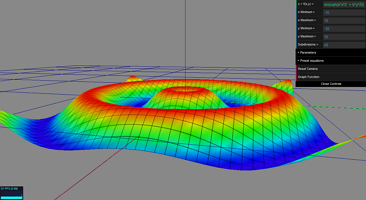 Graph a parametric surface of the form x = f( u, v ), y = g( u, v ), z = h( u, v ). 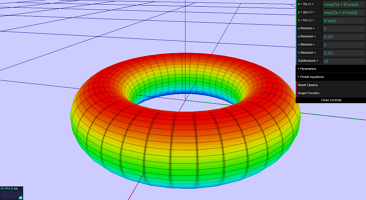 Graph a parametric curve of the form x = f( t ), y = g( t ), z = h( t ).